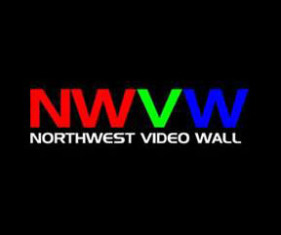 Northwest Video Wall provides turnkey LED video wall systems complete with media servers, IMAG switching, rigging, delivery and installation. We offer short and long term rentals on LED video wall backdrops and IMAG screens with technical support. Seattle, Spokane, Tacoma, Vancouver, Bellevue, Kent, Everett, Renton, Yakima, Bellingham, Kennewick, Washington, Portland, Eugene, Salem, Gresham, Hillsboro, Beaverton, Bend, Medford, Oregon, Los Angeles, San Diego, San Jose, San Francisco, Fresno, Sacramento, Long Beach, Oakland, Bakersfield, Riverside, Stockton, Chula Vista, Fremont, Irvine, San Bernardino, Modesto, Oxnard, Fontana, Moreno Valley, Glendale, Huntington Beach, Santa Clarita, Garden Grove, Santa Rosa, Oceanside, Rancho Cucamonga, Ontario, Lancaster, Elk Grove, Palmdale, Palm Springs, Corona, Salinas, California, Boise, Nampa, Meridian, Idaho Falls, Pocatello, Idaho, Las Vegas, Henderson, North Las Vegas, Reno, Sunrise Manor, Paradise, Spring Valley, Enterprise, Sparks, Carson City, Nevada, Salt Lake City, West Valley, Provo, West Jordan, Orem, Sandy, Ogden, St. George, Layton, Taylorsville, South Jordan, Logan, Utah, Phoenix, Tucson, Mesa, Chandler, Glendale, Scottsdale, Gilbert, Tempe, Peoria, Surprise, Yuma, Flagstaff, Arizona, Billings, Missoula, Great Falls, Bozeman, Butte, Helena, Montana, Cheyenne, Casper, Laramie, Gillette, Rock Springs, Sheridan, Jackson, Wyoming, Denver, Colorado Springs, Aurora, Fort Collins, Lakewood, Thornton, Pueblo, Arvada, Westminster, Centennial, Colorado, Albuquerque, Las Cruces, Rio Rancho, Santa Fe, Roswell, New Mexico, Houston, San Antonio, Dallas, Austin, Fort Worth, El Paso, Arlington, Corpus Christi, Plano, Laredo, Lubbock, Garland, Irving, Amarillo, Grand Prairie, Brownsville, Pasadena, Mesquite, Waco, Beaumont, Abilene, Wichita Falls, Odessa, College Station, Texas, Oklahoma City, Tulsa, Norman, Broken Arrow, Lawton, Edmond, Moore, Midwest City, Oklahoma, Wichita, Overland Park, Kansas City, Topeka, Olathe, Lawrence, Shawnee, Manhattan, Lenexa, Salinas, Kansas, Omaha, Lincoln, Bellevue, Grand Island, Kearney, Fremont, Hastings, North Platte, Nebraska, Sioux Falls, Rapid City, Aberdeen, South Dakota, Fargo, Bismark, Grand Forks, Minot, North Dakota, Kansas City, St. Louis, Springfield, Independence, Columbia, Lee’s Summit, O’Fallon, St. Joseph, St. Charles, Blue Springs, Branson, Missouri, Jackson, West Gulfport, Gulfport, Southaven, Hattiesburg, Biloxi, Meridian, Tupelo, Mississippi.